Do I need a contractor to seal air leaks in my home? Is there an ENERGY STAR label for "whole-house" fans? 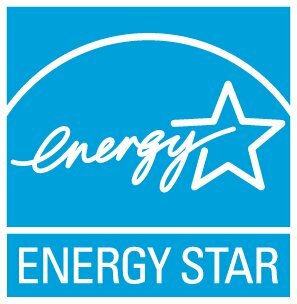 Is there an ENERGY STAR label for attic fans? If you have 5 minutes and 12 months of your energy bills, a quick first step to evaluate your energy use is the ENERGY STAR Home Energy Yardstick. To use the Yardstick, you will need to enter some common information about your home such as age, square footage, number of occupants and energy bill totals for a consecutive 12-month period (one year). If you don't keep your bills, contact your utility for a 12-month summary. The ENERGY STAR Home Advisor allows users to create a profile of their homes’ energy efficiency features which is used to generate a customized and prioritized list of energy-saving recommendations. If your home’s energy performance is low, consider contacting a professional to conduct a home energy audit to diagnose why. First, contact your utility or state energy office to find out if they offer free or discounted energy audits. You can also hire a Home Energy Rater. A Home Energy Rater is a specialized contractor who can perform a standardized evaluation of the energy efficiency of your home. To find a Home Energy Rater, visit the ENERGY STAR for Homes Partner Locator. In select states, Home Performance with ENERGY STAR, sponsored nationally by the U.S. EPA and U.S. DOE, can link you with a specially-trained contractor who can evaluate your home using state-of-the-art equipment and recommend comprehensive improvements that will yield the best results. See if Home Performance with ENERGY STAR is available in your area.